Cathy has been involved with Crossroads ever since its inception in 1997. She has been our recruiter for several years now, and we think her bubbly personality and positive attitude are a perfect fit for that role. She never sees a barrier, only the path toward the goal. 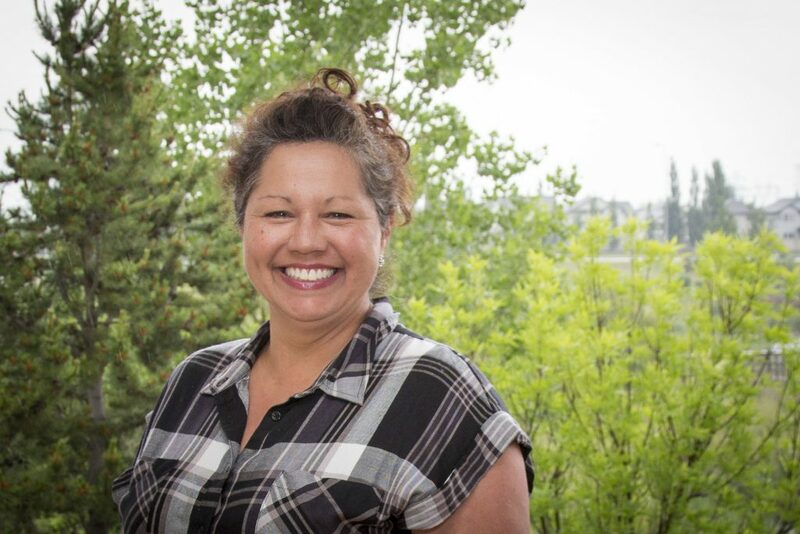 Cathy carries a strong role in our Aboriginal program by helping to plan the groups, and acting as chef when she makes stew and bannock that keeps everyone coming back for more. Cathy’s relaxed and spontaneous personality is a perfect fit for Crossroads. Whenever someone needs help with a task or support to figure out how to get something done, Cathy is there. Cathy cooks for 100 people once a month – with a smile on her face and flour in her hair. Cathy has a strong artistic flair and an eye for making things beautiful. She decorates and coordinates banquets, dinners, and events for Crossroads, and often redesigns and decorates our offices when she thinks they need a helping hand.